Meet the CAS Team : Direct Marketing Data Company : List Experts : CAS Inc.
Meet our Team of Data Experts! 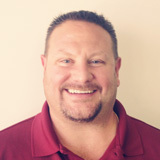 Kent has over 25 years of sales, marketing, management and customer service experience. He has sold to leading companies around the world, has extensive knowledge of all aspects of the Direct and Digital marketing industry, and has broad industry experience with emphasis in the financial services, insurance, travel, retail, telecommunications, consumer packaged goods and technology sectors. 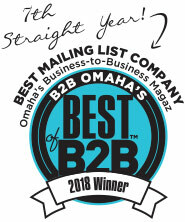 A graduate of Creighton University, Kent enjoys solving problems and forming long lasting business relationships in the industry. Off duty, Kent loves spending time with his beautiful wife and five children. Scott has 13 years of direct marketing experience all at CAS. His career at CAS started in customer service working for 3 years learning the ins and outs of database production.He was then promoted into sales selling and handling other assigned duties. 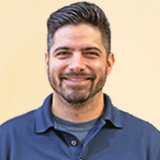 In 2009, Scott was promoted to Director of Turbo Sales, working to grow the on-line list services available on Turbo-Markieting. Scott attended Iowa State University to become a meteorologist, then a teacher, and then moved to Omaha to become a pilot. Now, he is in sales.....Go figure. He believes everything happens for a reason. Scott has two beautiful children. In his free time, Scott enjoys home projects, sports, and trying to get into better shape. JoAnn has been with CAS for almost 30 years in many different roles. She began at CAS working as a contract programmer, moved into production programming for the direct marketing side and then into customer service. Currently she manages the account management team and production programming department for CAS. She graduated from West Texas A&M University with a degree in Business Administration. She has been married to Jim for 36 years and has two children. She loves the outdoors, scrap booking, and spending time with friends and family. Tani has 22+ years sales experience in the direct marketing industry, in which she has consistently been a top performer. Tani graduated from the University of Nebraska. Tani's direct marketing experience started at InfoGroup, where she rapidly became a top sales producer due to her ability to present solutions for complex business needs. Since her arrival at CAS in 2002 as Regional Sales Manager, she continues to lend her experience with new product development, contract negotiations and custom data solutions. 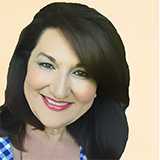 April Clark has worked in the direct marketing arena for several decades. 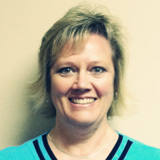 April has her BA degree from Bellevue University and is continuing her education in marketing. 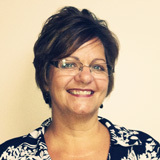 After many years in sales management with Priority Data Systems, she joined CAS in 1997. 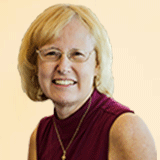 Her delight is working with small companies to help them grow using CAS' direct marketing products. She has been president of the Omaha DMA, DPMA and is on the board of AAF Omaha. April has been married to her lifelong sweetheart Jon since 1977 and enjoys watching her three grandchildren grow and prosper. In her spare time she enjoys gardening, working out at the gym, walking on any available beach, reading, movies and church activities. An interesting fact - April is a black belt in TaeKwonDo. 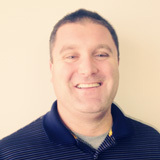 Pete has 15+ years sales experience in the direct marketing industry, the last 11 years here at CAS. Pete graduated from the University of Nebraska at Omaha with a degree in Business Administration and played football for the university. 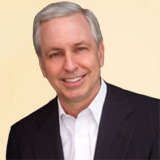 Pete provides list brokerage and list services to ad agencies, list brokers, mortgage companies, or any company who needs to send a targeted message to their best prospect. Pete is married and has 4 children. Pete spends most of his free time with his children and their activities but does enjoy golfing and cooking. 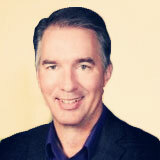 Greg has 30+ years of experience in sales, management, business development and operations. He earned his BS degree from the UNO while working in the family business elevating to VP of Operations and Business Development. Greg came to CAS in ’04 expanding his industry knowledge beyond just list rental to include demographic overlay, hygiene, email and more. Greg enjoys digging into the data to go beyond "just a list". Outside of work he enjoys bicycling and volunteering at the Nebraska Humane Society. He has been married to Shanon for 25+ years and has two boys, Michael and David, two furry children (Allie and Jasper) and one furry grandchild (Loki). Jane loves interacting with people, and her position as account manager enables her to do just that. Jane's prior job experience has been in a customer service or HR related fields, as well as owning her own business. She has been in the direct marketing industry going on 3 years and has enjoyed the experience. Jane has 2 teenage children that keep her busy. She also enjoys to read, golf, and travel as much as possible. Briana has 9 years of experience in the direct marketing industry. She graduated from Metro with a degree in Graphic/Web Design. She has worked as a Marketing Coordinator, Graphic Designer and Creative Marketing Specialist gaining experience in email deployment and website design. Briana enjoys spending time with her 2 Chihuahuas and 2 cats. Her favorite restaurant is Genji and she is addicted to Starbucks Ice Coffee and Lilly Pulitzer. Alex is in charge of all email related services for clients. Marketing is his passion and has over 9 years of experience. As a Venezuelan native, Alex loves baseball and futbol, he considers himself to be a tech junkie and is a sucker for comic book movies. Alex is married to his beautiful wife Christina, together they have three wonderful children Victoria, Samuel and Lucas. Chris joined the CAS Team in 2001after 21 years as an office manager in the insurance industry. 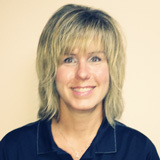 Chris started at CAS as the Accounts Receivable Clerk and moved into her current Accounting Manager / HR position in 2007. Chris has been married to Mark for 35 years and has 2 sons, ages 30 and 26. She enjoys gardening, watching baseball and reading.